Order a PP3010T and receive a $2500 credit towards the purchase of any of our EMS line of products. 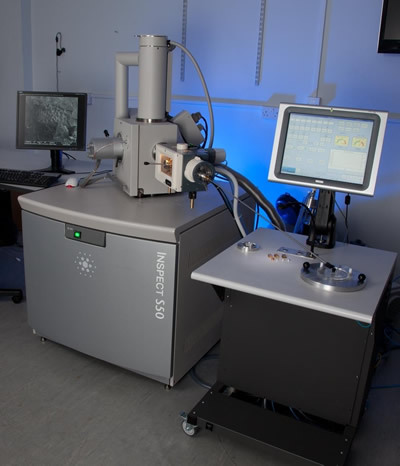 The PP3010T is a highly automated, easy to use, column-mounted, gas-cooled cryo preparation system suitable for most makes and models of SEM, FE-SEM and FIB/SEM. 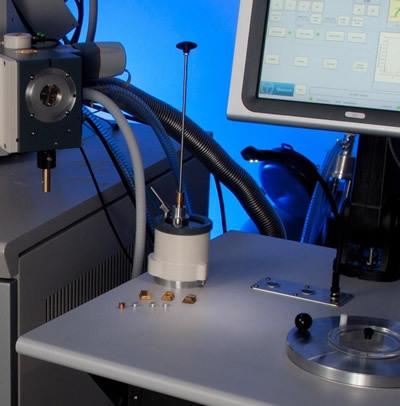 The PP3010T is a highly automated, easy-to-use, column-mounted, gas-cooled cryo preparation system suitable for most makes and models of SEM, FE-SEM and FIB/SEM. The PP3010T has all the facilities needed to rapidly freeze, process and transfer specimens. 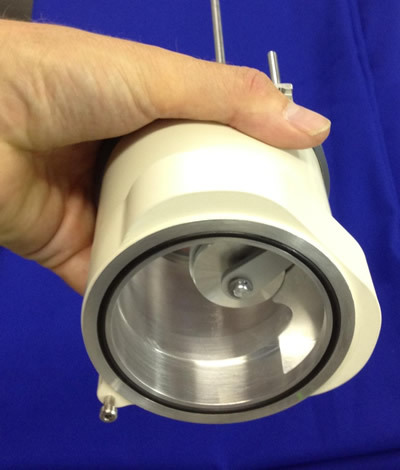 The cryo preparation chamber is turbomolecular pumped and includes tools for cold fracturing, controlled automatic sublimation and sputter coating. 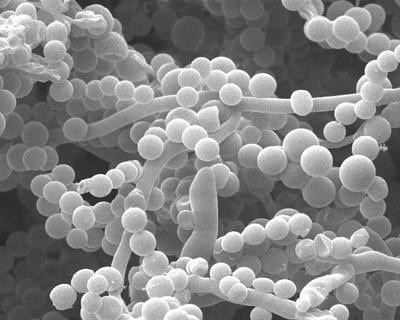 After processing, the specimen is transferred from the cryo preparation chamber onto a highly stable SEM cold stage for observation. 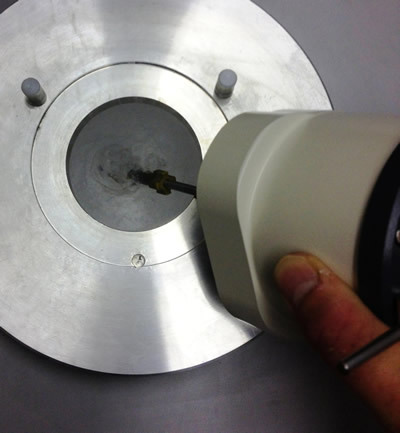 Cold trapping in the cryo preparation chamber and SEM chamber ensures the whole process is frost-free. Specimen process times are typically between five and ten minutes. The PP3010T Prepdek™ workstation is fitted with a slushy nitrogen freezing station, connected to the pumping system. Rapid freezing reduces ice crystal damage and results in improved specimen preservation. For handling pre-frozen material the Prepdek™ freezing system allows specimens that have been frozen by alternative freezing methods (or stored field specimens) to be manipulated – in or just above liquid nitrogen – and then transferred under vacuum into the PP3010T preparation chamber for subsequent processing and observation. 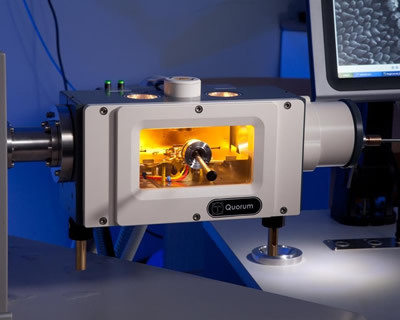 Additionally the TEM Prep Slusher and Glove Box Interface/Airlock options allow workflow amongst a range of other platforms, including cryo-TEM, cryoultramicrome, XPS and glove box. The vacuum transfer device is compact (fits easily into one hand), reliably vacuum-tight and has a bayonet connection to the specimen shuttle to ensure rapid pick up and transfer. Set into the Prepdek™ work surface is a pumped storage tube for the cryo transfer device (see Prepdek™ workstation section below). The PP3010T is supplied with universal 10 mm specimen stubs with surface slots, holes and a flat area – useful for most specimen types. Blank and slotted stubs are also included. 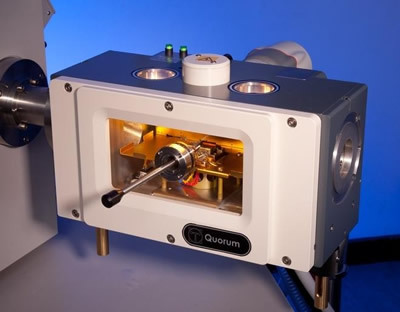 In addition a range of optional holders is available, including shuttles for large specimens and top-loading holders for high pressure freezing, TEM Autogridstm (for cryo-FIB/SEM applications) and clamping shuttles for hard specimens. 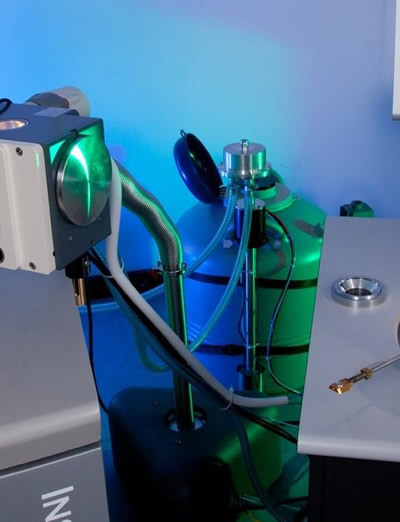 The cryo preparation chamber is connected directly to the microscope and includes a highly efficient nitrogen gas cold stage, extensive cold trapping and facilities to fracture, sublimate and sputter coat specimens. The chamber is fitted with two fully integrated and interlocked gate valves. 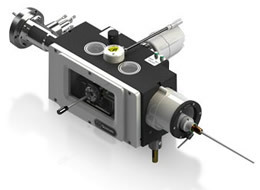 The outer load-lock valve includes a pumped airlock which accepts the cryo transfer device – the inner SEM valve ensures rapid high-vacuum to high-vacuum specimen exchange. At the heart of the cryo preparation chamber is a nitrogen gas cooled specimen stage. 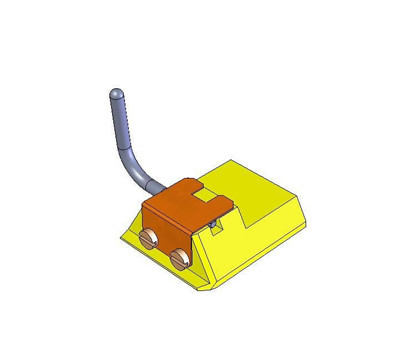 The stage has a dovetail fitting to accept a cryo shuttle and can be precisely controlled over a temperature range from 100°C to -190°C or lower. Large gas cooled cold traps located above, below and behind the specimen stage ensure clean, high vacuum conditions in the chamber. Both the cold stage and cold traps are cooled with the fully integrated CHE3010 off-column cooling system (see below), which at normal operating temperatures give typical hold times of at up to 24 hours between fills (provided the nitrogen gas is dry). 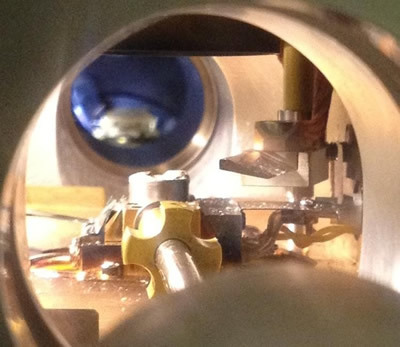 There is superb visibility into the preparation chamber. In addition to the large front window (75 x 150 mm), there are two top viewing ports. The chamber is lit by three LEDS and a CCD camera allows the specimen cold stage area to be viewed on the control screen and the images saved. Twin fracturing tools manipulators (actively cooled) are available and allow a range of specimen types to be cold fractured. 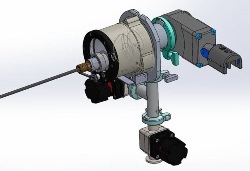 The PP3010T is fitted as standard with a front mounted fracturing and manipulation device. The ball-jointed mount offers flexible movement of the blade which can be used both as a surface pick (probe) and a fracturing knife. An optional micrometer-advanced fracturing tool with rigid blade is available, in addition to the standard front-mounted tool. Sublimation temperatures and times can be preset and stored for easy retrieval. The process is fully automatic and graphically displayed on the control screen, showing the actual verses the predicted temperature curves. The high resolution sputter coater is based on the market leading series of bench top coaters. 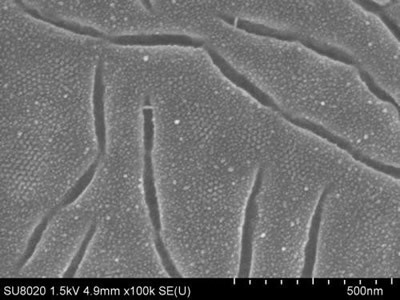 The coating system will give fine grain films essential for FE-SEM applications. 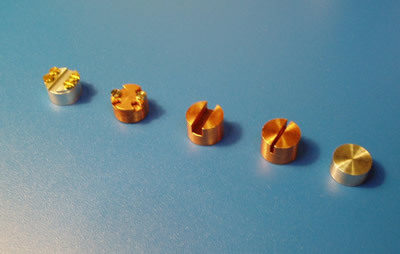 A platinium target is fitted as standard – optional metals include gold, gold/palladium, chromium and iridium. An optional fully integrated carbon fiber evaporation head can also be fitted. An optional terminating film thickness monitor is available. The preparation chamber is pumped by a remotely-positioned 70 L/s turbomolecular pumping system. Typical preparation chamber vacuums when cold are in the region of 10-7mbar or better. 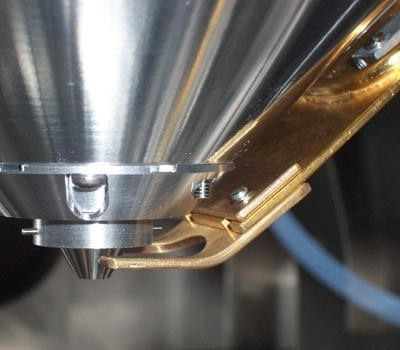 Positioning the turbomolecular pump away from the SEM ensures total elimination of mechanical vibration and has the advantage of significantly reducing the total cryo system mass connected to the SEM. A vacuum buffer tank (remotely located in the Prepdek™) is automatically pumped when required. The pumping system is connected to the preparation chamber by flexible stainless-steel bellows, which allows flexible positioning of the pumping system. A 5 m3/hr rotary vacuum pump is required to "back" the turbomolecular pump and for slushing and rough pumping operations. The rotary pump can be located up to five meters from the system, allowing remote location if required. Dry pumping alternatives are available – see Ordering Information. The Prepdek™ workstation has been designed to allow specimen mounting, freezing (plus pre-frozen specimen manipulation) and transfer device storage on one ergonomically designed work surface. The control electronics are mounted in a sealed but accessible cabinet beneath the Prepdek™. Set into the work surface is a pumped storage tube which allows the cryo transfer device to be stored under vacuum conditions when not in use. The PP3010T is controlled using a large touch screen panel PC, mounted on the Prepdek™ workstation. User-defined 'recipes' can be entered and stored for instant future access. 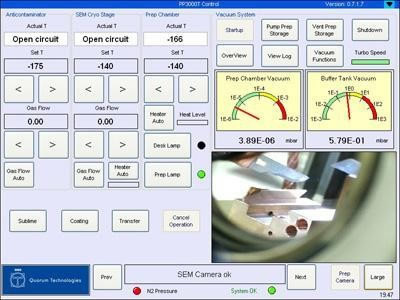 The screen can be set to suit operator preferences; for example, vacuum measurement can be displayed in millibar, Pascal or Torr. Many of the key steps in the specimen preparation process are automated (system set up, gas flow control, sublimation and sputter coating). 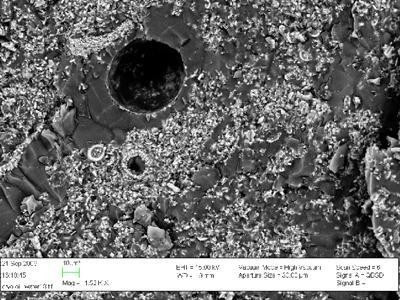 A highly stable, thermally isolated, nitrogen gas-cooled stage attaches to the SEM stage. 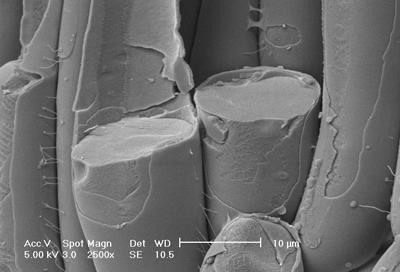 The SEM stage and cold trap are cooled by separate cold gas circuits – both capable of reaching temperatures of -190°C or lower. This configuration allows the operator to select stage and cold trap temperatures that are optimized for specific specimens. 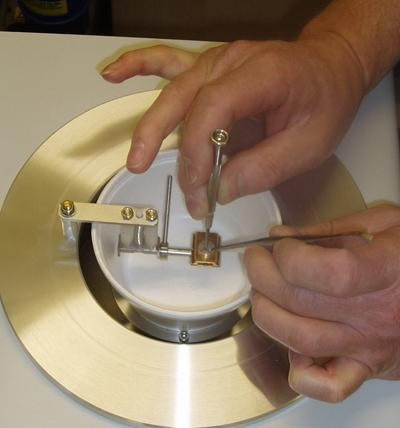 For example, for some non-biological materials, it is useful to hold the specimen at very low temperatures – for example, a cold stage temperature of -175°C. This is possible with the PP3010T, as cold trap temperatures of -190°C or lower can be selected, but not possible with conduction cooled systems. 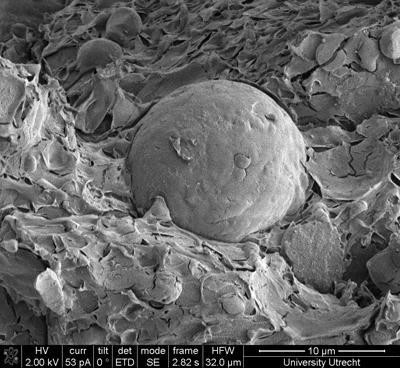 The SEM cold stage has a temperature range of down to -190°C and a temperature stability of < 0.5°C. The PP3010T cold stage is fully compatible with SEM stage bias/beam deceleration modes of up to 5kV. The CHE3010 is a fully integrated, remotely mounted cooling system which comes as standard with every PP3010T. 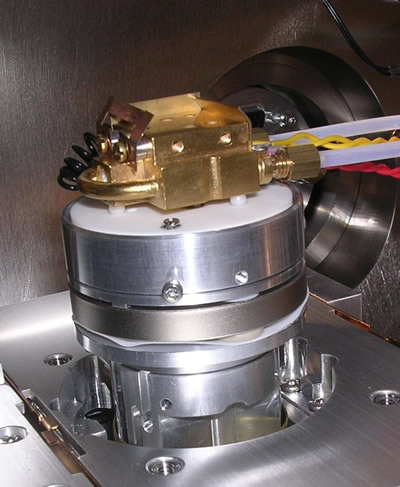 The CHE3010 is used to cool the SEM stage, SEM cold trap and cryo preparation chamber cold stage and cold traps and will typically reach temperatures down to -190°C or lower. 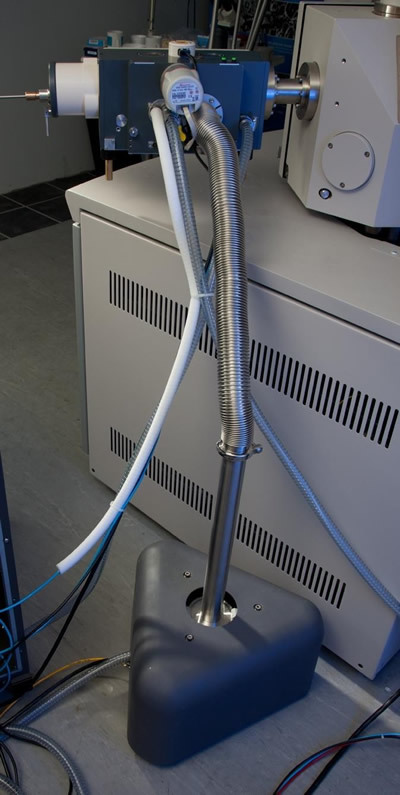 The CHE3010 is remotely positioned (typically on the floor behind the microscope) and at normal operating temperatures can run for up to 24 hours between fills. This greatly simplifies the cryo process (no more checking on dewar status and topping off), but also allows overnight, unattended operation – particularly useful for some automated FIB/SEM "slice and view" protocols. 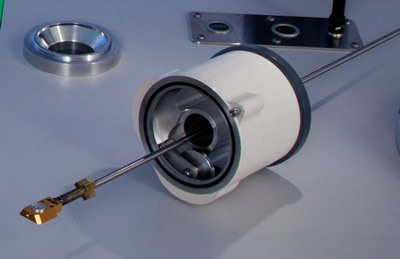 Where SEM geometry allows, both the cryo preparation chamber and the SEM cooling system can be fitted to a single chamber port (the minimum port diameter is 38 mm). This gives a tidy installation and frees up a valuable chamber port. This device is meant to facilitate a rapid warming of the CHE3010 (Cryo-Heat Exchanger) associated with the PP3010T Cryo-SEM preparation system. The Rapid Warming Tower in conjunction with a 1 liter/min Nitrogen gas flow rate dramatically reduces the lag time before the SEM or Prep chamber components return to room temperature so venting can occur. 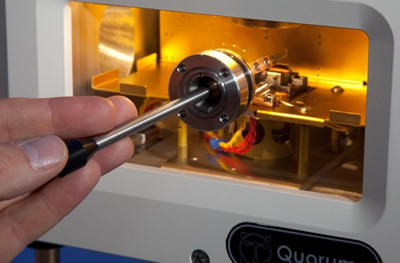 A process that normally takes hours can be completed in minutes, allowing maintenance or reconfiguring the SEM back to room temperature operation. Accepts many common, locally obtained hair dryers. (Hair Dryer not included). The PP3010T is supplied with a selection of holders, and a range of additional specimen shuttles and stubs is also available. (See Ordering Information for details). A carbon evaporation attachment and a terminating film thickness monitor can be fitted. Both are fully integrated (no external control boxes required). An alternate to the standard Cryo-stage, allowing tilt up to 52 degrees and 360 degree rotation while maintaining desired cryotemperatures. The PP7450/60L is a highly recommended option that generates dry nitrogen gas used for cooling the SEM cold stage & cold trap and cryo preparation chamber and cold shields. In addition, LN2 can be decanted for slushing (freezing). During normal operation the PP7450/60L will generate dry nitrogen gas for up to eight days usage. If the PP7450/60L is not included, appropriate, locally sourced, nitrogen gas cylinders can be used. It is important to ensure that it has low moisture content – if in doubt, please contact us. 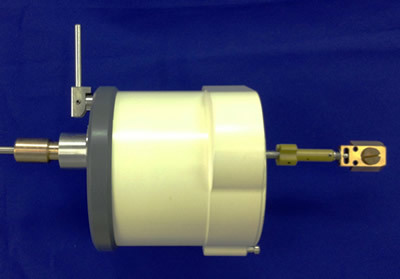 The airlock is connected to a glove box using a generic NW fitting and for most applications requires a suitable pumping system (rotary pump or turbomolecular plus diaphragm pumping system). The airlock is designed to accept the PP3010T vacuum transfer device. For full details of this and other accessories please see Ordering Information. For a full quotation, including on-site installation and customer training, please contact us. Specimen Shuttles (dovetail). Some will accept 10mm dia.